Suitable for use on medium-low powered farm machinery. Suitable for use on medium-low powered farm machinery, the lug shape and groove base of the IM110, with its inter-lug terraces and veining, gives excellent traction. 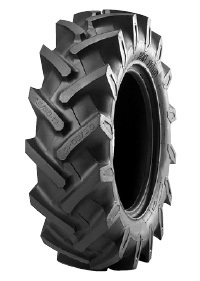 The differentiated rigidity of the whole tyre section also enables it to keep itself clean, thus further improving traction.